Small powerful dryer, particularly suitable for the treatment of technical polymers. Compact, practical and high performing thanks to its zeolite double tower design. Also suitable for operation with non-dried circuit compressed air. 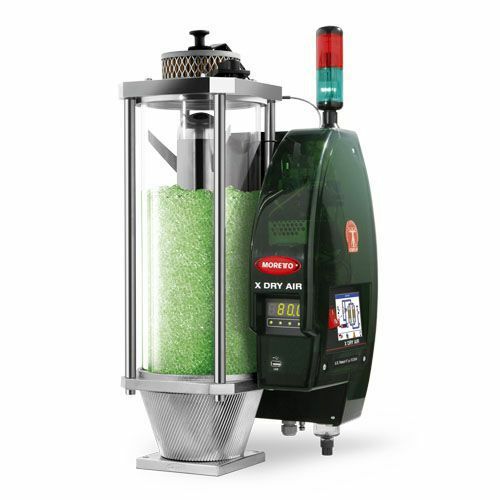 ​Small powerful dryer, particularly suitable for the treatment of technical polymers. Compact, practical and high performing thanks to its zeolite double tower design. Suitable for operation with non-dried circuit compressed air. ​Small powerful dryer, particularly suitable for the optical division and for technical moulding. Compact, practical and high performing thanks to its zeolite double tower design. Suitable for operation with non-dried circuit compressed air. The high efficiency of the dryer and the OTX hopper creates an extraordinarily efficient combination in terms of energy efficiency: + 66%. ​Excellence in the drying line is achieved with the X WHITE series, dedicated to medipharma, optical and lens applications. OTX evolves in this series and becomes transparent by making content visible. 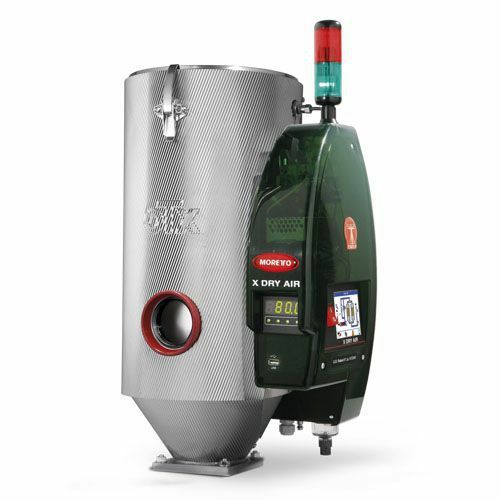 X DRY AIR – X series features a PYREX hopper, part of the X TECHNOLOGY project, adding the advantage of the highest visibility in the process, and maintaining the extraordinary energy efficiency derived from the TX series.